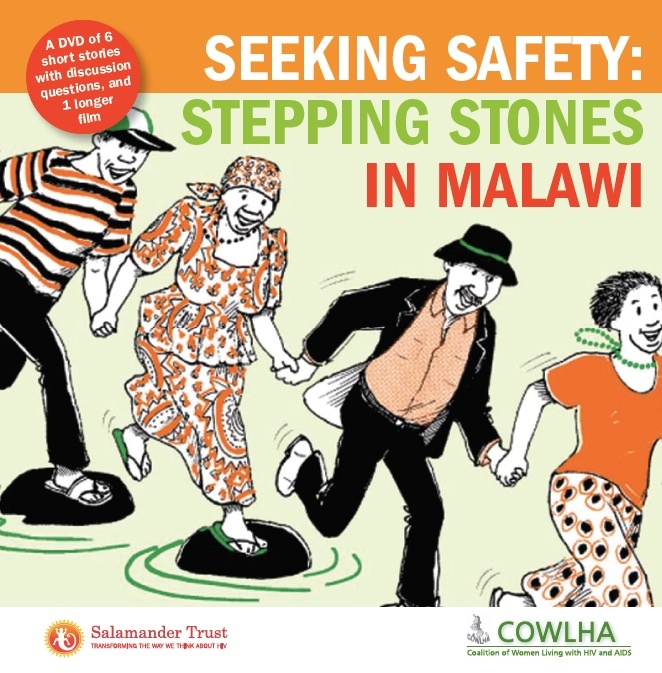 The Coalition of Women living with HIV and AIDS in Malawi has been using the “Stepping Stones” training programme on gender, HIV, communication and relationship skills, and other innovative approaches, for some time with its members. In this recent initiative, Salamander Trust has collaborated with Dominique Chadwick of Social Films and COWLHA to make a 12-minute moving and powerful film about COWLHA’s transformative programme work. Dominique, assisted by Salamander Associate Nell Osborne, also trained 3 groups of COWLHA members, their partners and neighbours, to create, film and edit their own 3-minute films. These 7 films and more information about the whole film project can be viewed by clicking here.